Patented one finger stapling power-assisted stapling technology. Sophisticated design with all-metal housing Ergonomic styling with a non-slip rubberized handle and base. Works with standard staples. Package includes one box of staples. 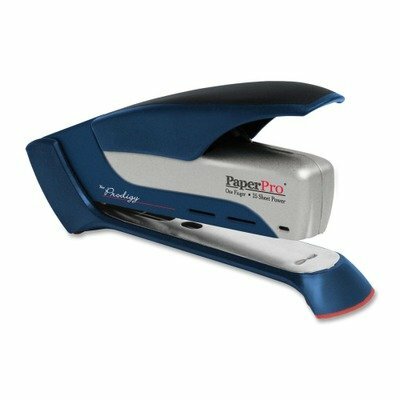 Stapler Type: Full Strip Desktop Staple Capacity: Full Strip 210 Staples Size of Staple Used: 1/4amp;quot; Type of Staple Used: Standard.